Can you believe it’s finally summer? We’ve been seriously slacking with homeschool stuff lately. No worries, though. There’s still lots of awesomeness to share with y’all! We’re still working through our Alphabet Island theme from Mother Goose Time. And today, we learned about waterfalls. We had so much fun! The Water Block Tower investigation station was definitely this week’s favorite. I’ve said it before and I’ll say it again – the little guy loves water. Like seriously… At this point, his activity tub is on the deck and daddy fills it up with water every morning. Either way, I was really excited when I saw this activity in the Teacher Guide. And of course I figured the little guy would be all about it too. 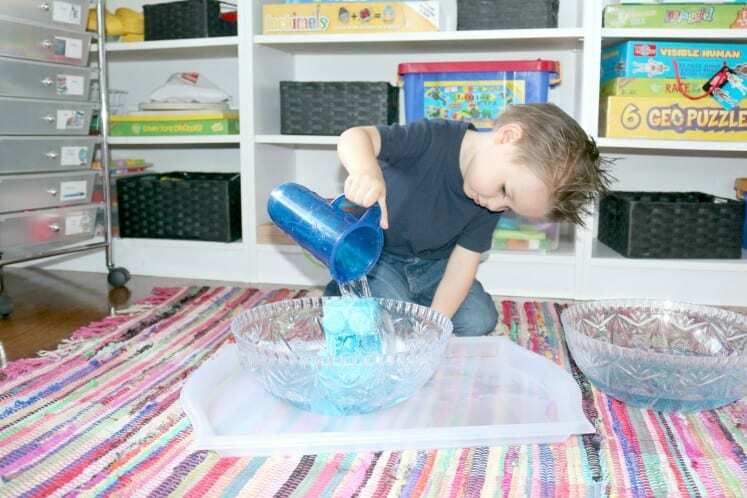 The skills listed are Scientific Reasoning (25.2) and Fine Motor (5.1). Set out an empty tub, a tub of water, a pitcher, and blocks. 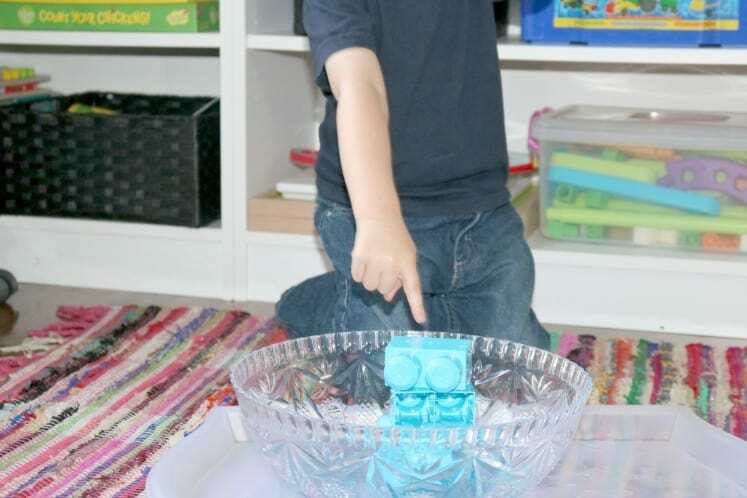 Encourage discovery: Invite children to build different block structures in the empty tub. 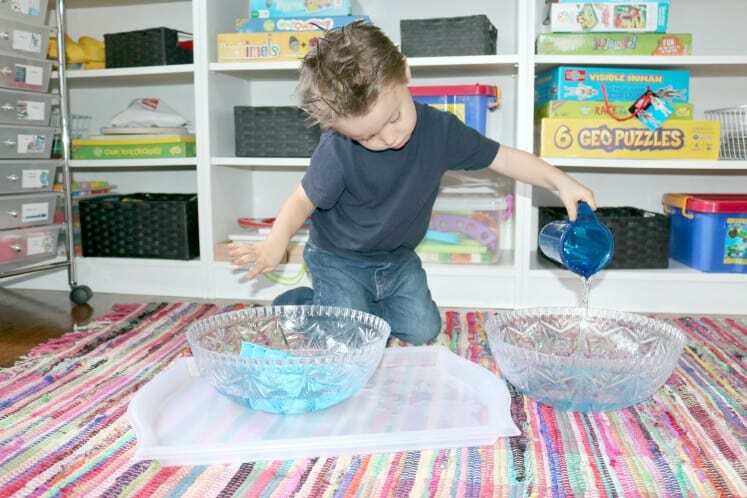 Pour water over the blocks and watch the different ways the water falls. 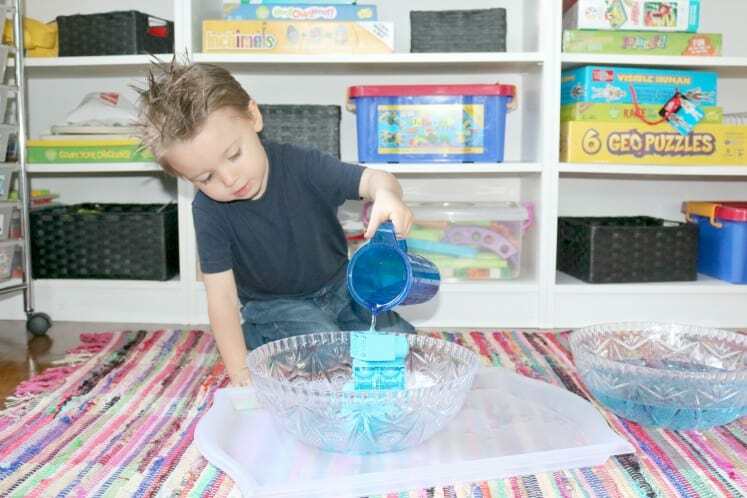 The little guy poured the water over the blocks and even tried to knock them over. 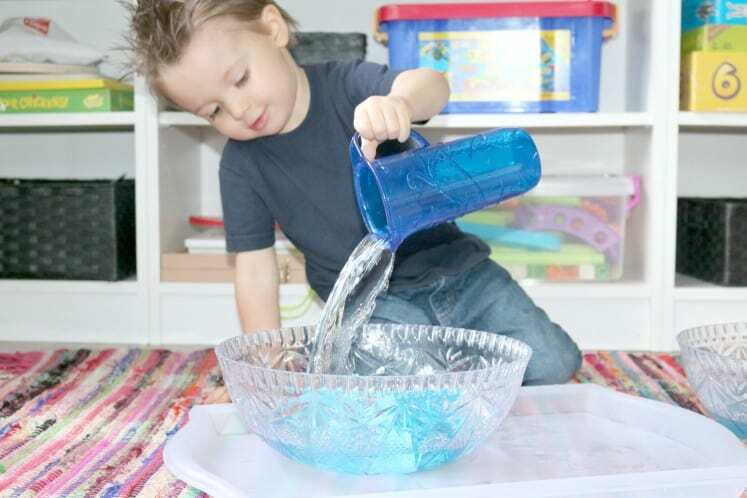 He poured the water quickly and he poured it slowly. And of course he observed what happened. When there wasn’t as much force, the water just trickled over the blocks. But when the little guy poured the water quickly, the block tower fell over. Preschool science is awesome, don’t ya think? This is just one of the many reasons we fell head over heels in love with Mother Goose Time. Lots of quick + easy experiments delivered to our door each and every month.